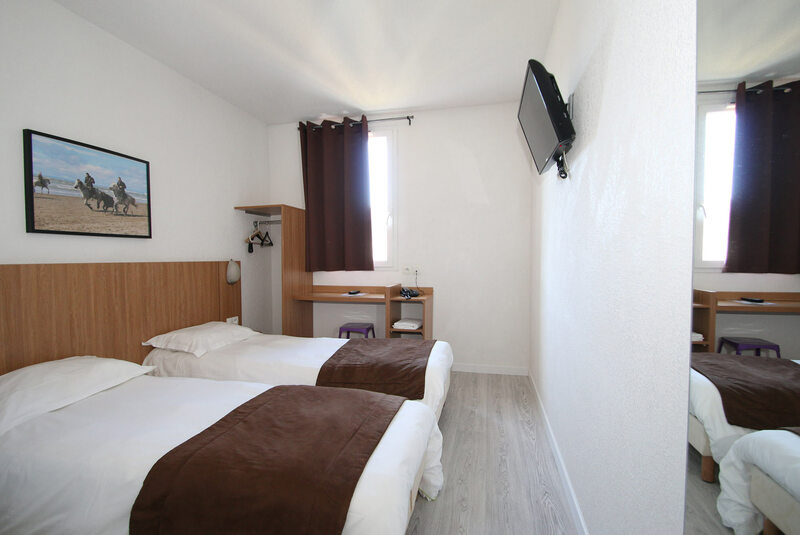 Ideal for 1 or 2 person, our standard rooms have a large double bed (160 cm) with duvet, a bathroom with shower, flat screen TV with foreign channels and access to free Wifi. 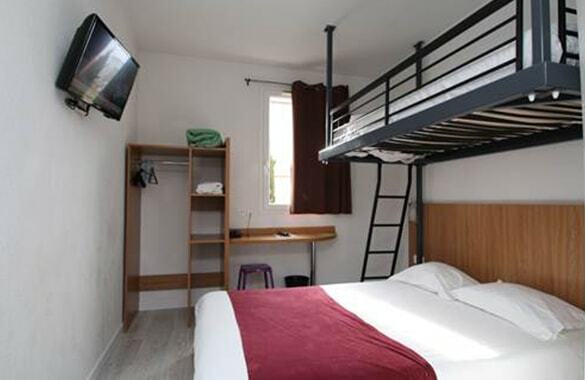 Ideal for 1 or 2 persons, our twin rooms hage 2 singles beds (90cm) with duvet, a bathroom with shower, flat screen TV with foreign channels and access to free Wifi. 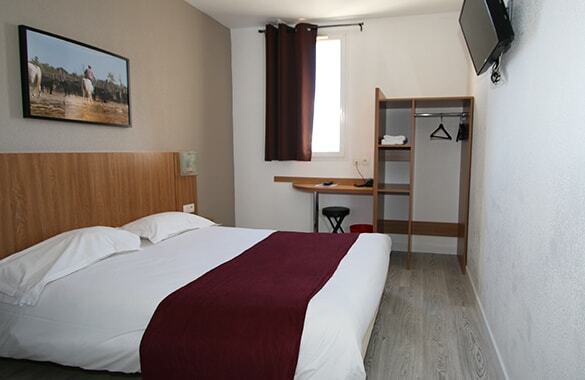 Ideal for 1 or 2 person, our superior rooms have a large double bed (160 cm) with duvet, a bathroom with bath, flat screen TV with foreign channels and access to free Wifi and a fridge. 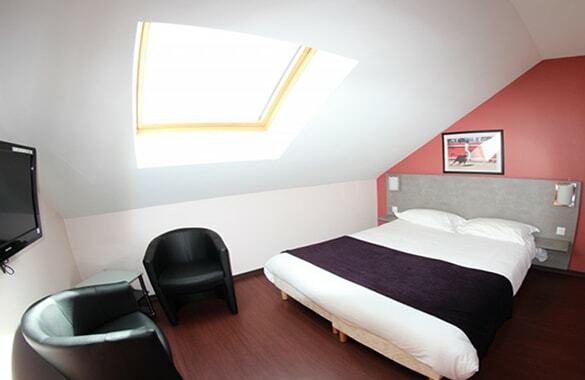 Ideal for a couple with one child, our triple rooms have one large double bed (160 cm) with duvet and one single bed, a bathroom with shower, flat screen TV with foreign channels and access to free Wifi . 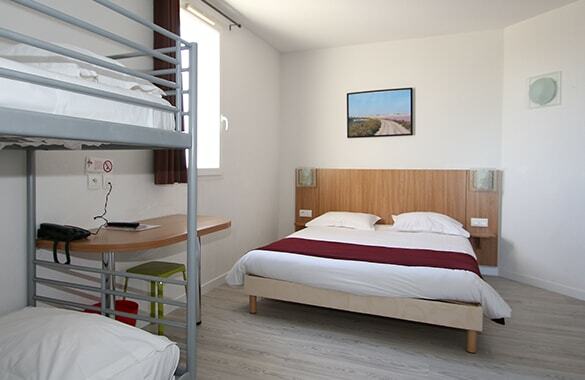 Ideal for a familyh with 2 children , our family rooms have one large double bed (160 cm) and 2 bunk beds with duvet, a bathroom with shower, flat screen TV with foreign channels and access to free Wifi.